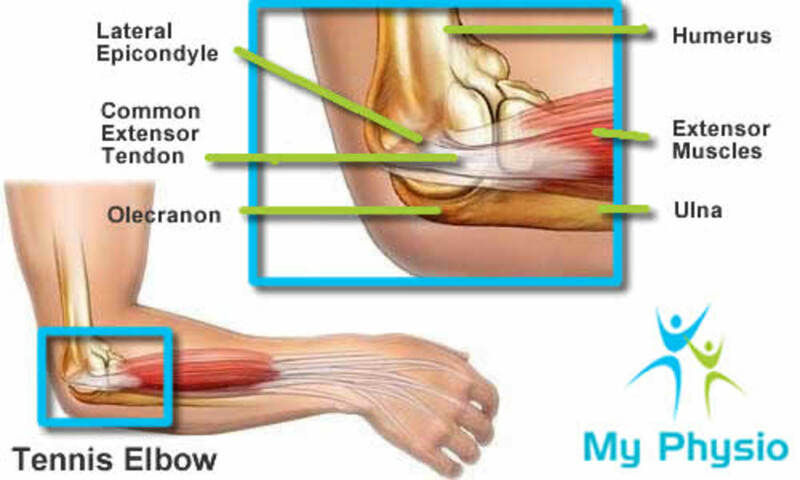 Carpal Tunnel Syndrome/Tennis Elbow and other similar problems and cures. Carpal Tunnel Syndrome, Cubital Tunnel Syndrome, Tarsal Tunnel Syndrome, Guyon’s Canal Syndrome and Tennis Elbow are often spoken about as being one and the same thing whereas they affect different parts of the body and nerves in slightly different ways. The treatment for all has some similarities but we will look at the five problems individually to start with. 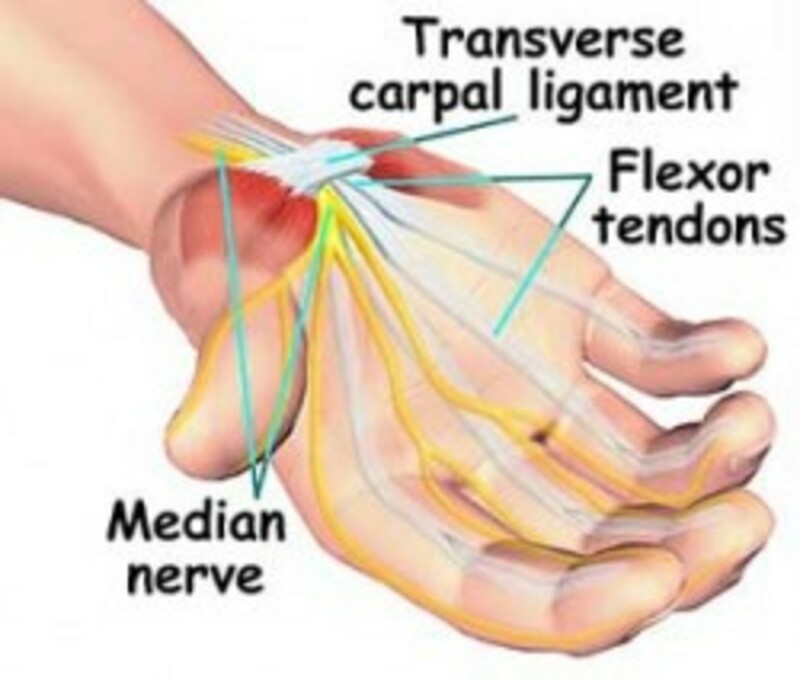 Carpal Tunnel Syndrome is caused by compression of the median nerve in the wrist which travels from the forearm into your hand through a "tunnel" in your wrist which is formed by bones and a strong band of connective tissue called a ligament, which covers the top of the tunnel. This tunnel also carries nine tendons that connect muscles to bones and is used to bend your fingers and thumb. The tendons are covered with a lubricating membrane called synovium, which can enlarge and swell if irritated. The resultant swelling can be sufficient to cause the median nerve to be trapped against this strong ligament which can result in numbness or tingling at night, in your hand and difficulty or clumsiness in handling objects. Sometimes the pain radiates up the arm as high as the shoulder accompanied by decreased feeling in your thumb, index, and long finger Causes can be injury, fluid retention in pregnancy, diabetes, hypothyroidism; rheumatoid arthritis, cyst or tumour in the canal, RSI among others. Here we are looking at a similar tunnel nerve arrangement but in the ankle/foot. The tarsal tunnel is a narrow space that lies on the inside of the ankle next to the bones. The tunnel is covered with a thick ligament (the flexor retinaculum) that protects and maintains the arteries, veins, tendons, and nerves contained within the tunnel. 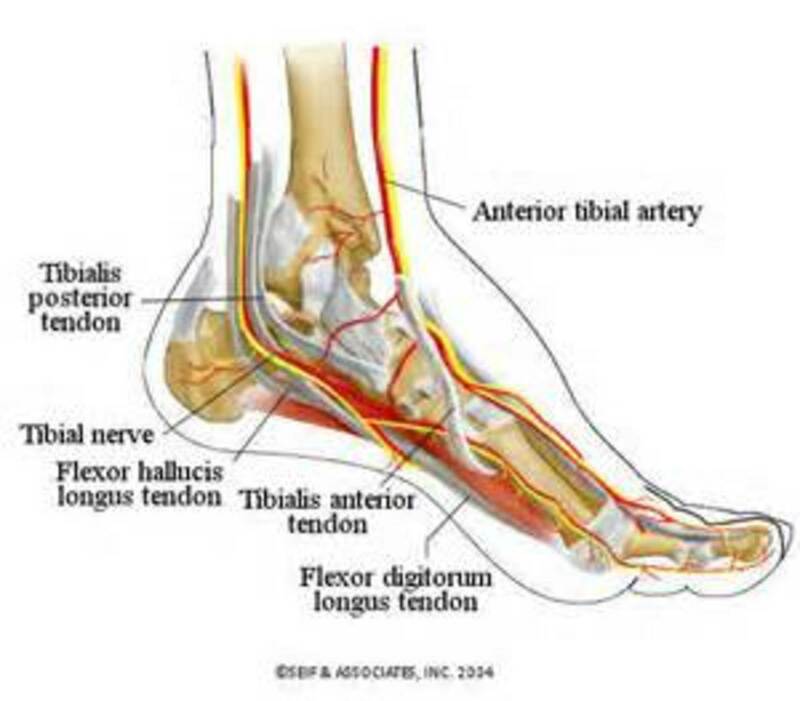 The nerve that we are concerned with is the posterior tibial nerve, which is the one affected by tarsal tunnel syndrome. This pressure can be caused by: flat feet, varicose veins, ganglion cyst, swollen tendon, arthritic bone spur, diabetes or arthritis itself. Tarsal tunnel syndrome can cause pain, tingling, burning, or an electrical shock sensation, together with numbness. These symptoms are typically felt on the inside of the ankle and/or on the bottom of the foot but with some people, the pain may be isolated to just one spot or may extend to the heel, arch, toes, and even up into the calf. The pain may appear suddenly following overuse of the foot, by prolonged standing, walking, exercising, or perhaps a repetitive exercise/work movement. It is essential that it is treated quickly otherwise permanent nerve damage may occur. 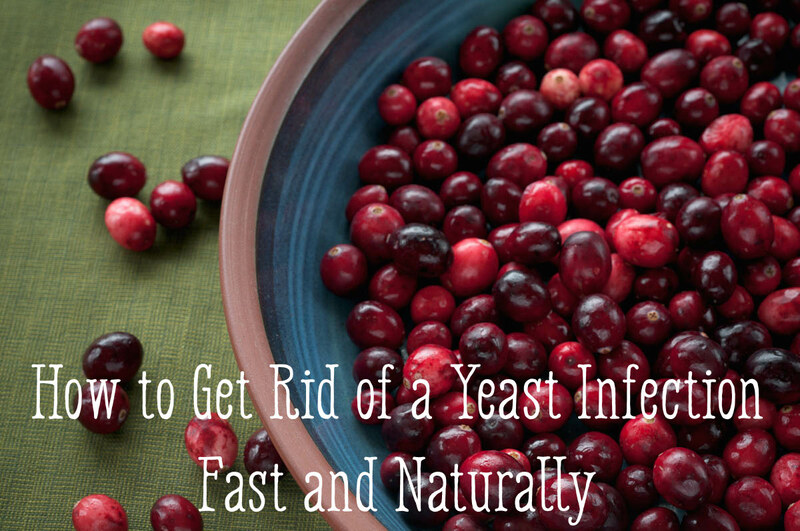 In addition there are other problems that are similar in symptoms and need to be eliminated. It is possible that there may be a cyst or tumour in the ankle causing pressure on the nerve. This can be confirmed by use of advanced imaging studies also this may be ordered if initial treatment does not reduce the symptoms. Specific studies may be used to evaluate other nerve problems and electromyography and nerve conduction velocity (EMG/NCV) may be used if the condition shows no improvement with non-surgical treatment. Other conditions that can cause Tarsal Tunnel symptoms are diabetic neuropathy, alcoholic neuropathy, poor circulation or nerve compression at a level higher than the ankle. This syndrome is also referred to as an ulnar nerve entrapment at the wrist. In this instance the ulnar nerve enters the Guyon's canal along with the ulnar artery, which runs laterally to the nerve. This canal runs along the lower edge of the palm of the hand, on the little finger side. In the middle of the canal, the ulnar nerve splits into its two terminal branches (deep and superficial) that go on to the palm, ring and little fingers. Guyon's canal syndrome has three types depending on the level and type of compression involved. Type I is caused by compression in the proximal aspect of Guyon's canal. This is typified by motor weakness in all ulnar innervated hand functions and typical ulnar distribution sensory loss that splits the ring finger into two are present. The dorsal aspect of the hand may not loose sensation in this type of syndrome. Type II is the most common type, which results from the compression of the ulnar nerve at the level of the lower wrist. With type II lesions, the sensory branch to the dorsal aspect of the hand and the innervation of the muscles are unaffected. Type III is the most uncommon, and involves pure sensory loss from compression of the superficial branch at the distal aspect of Guyon's canal. 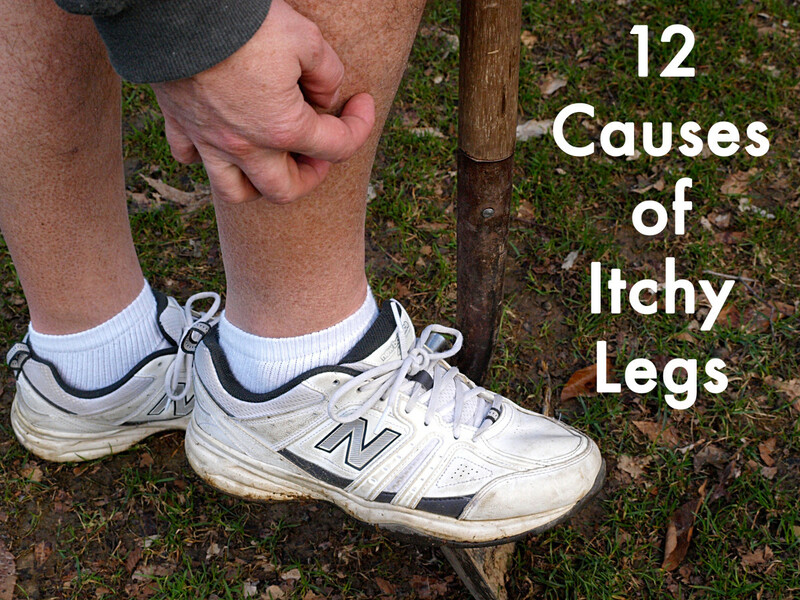 Therefore, in this type of lesion the symptoms mostly involve a complete loss of sensation or feeling. 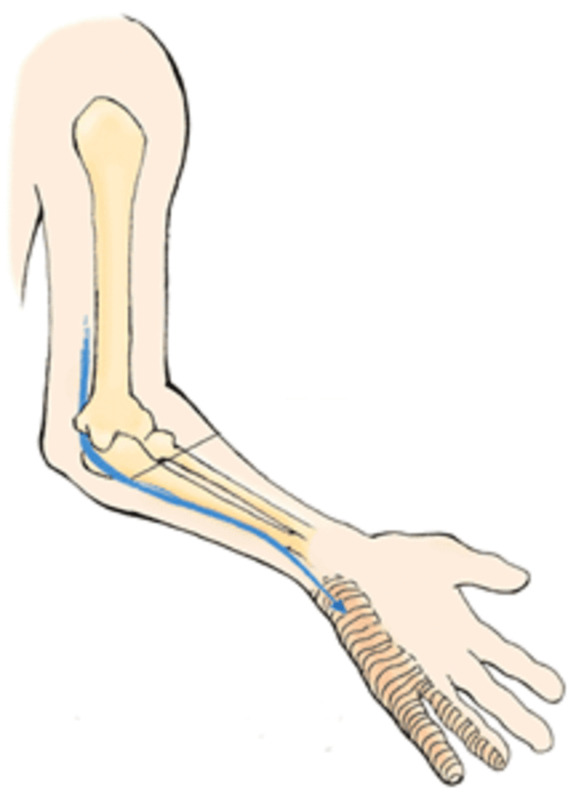 In the case of Cubital tunnel syndrome the ulnar nerve, one of the intrinsic nerves of the upper extremity, is pinched as it passes behind the elbow. This is the nerve that causes the "funny bone” sensation. The ulnar nerve is responsible for transmitting signals to your brain about sensations in small and ring fingers hence the reason why the fingers tingle when you hit the nerve in your elbow. Your consultant may carry out nerve tests, called EMGs, which can help to determine the extent and location of nerve compression. If you are diabetic you are more likely to suffer from this syndrome. Tennis elbow is also known as lateral epicondylitis, and is a condition in which the outer elbow region becomes inflamed, tender and sore. It should not be confused with Bursitis or Golfers Elbow (medial epicondylitis) which is very similar but the site of inflammation and pain is different. It is a common cause of elbow pain, particularly in tennis or squash players. However, it is not just restricted to them and can affect anyone who overuses that particular part of the elbow where the tendons help to move the wrists backwards and forwards. What has happened is the overuse has caused minute tears in parts of the tendons and muscle coverings. When the initial injuries have healed and the elbow is subject to similar stress these tears occur again and cause further haemorrhages along with the formation of rough and granulated tissue and deposits of calcium in the surrounding tissues. The injury then leaks a protein called collagen, which results in inflammation. This restricts the flow of blood and pinches the radial nerve controlling the muscles in the hand and arm. Because it causes similar pain and stiffness near the joint, many people mistake bursitis for arthritis, but bursitis is a different problem altogether. The painful inflammation of a bursa is called bursitis which is caused by banging or bruising, repeated pressure, or overuse. In addition to Golfers Elbow, Bursitis has some other colloquial nicknames such as Housemaid's Knee, Clergyman's Knee, and Baker's Cyst, among others. Despite its nicknames, bursitis does not affect only the knee. It can hit any major joint, including the shoulder, elbow, hip, ankle, heel, or base of the big toe. The bursa is a fluid-filled sac that helps protect muscle, ligaments, tendons, or skin that rubs across bone. 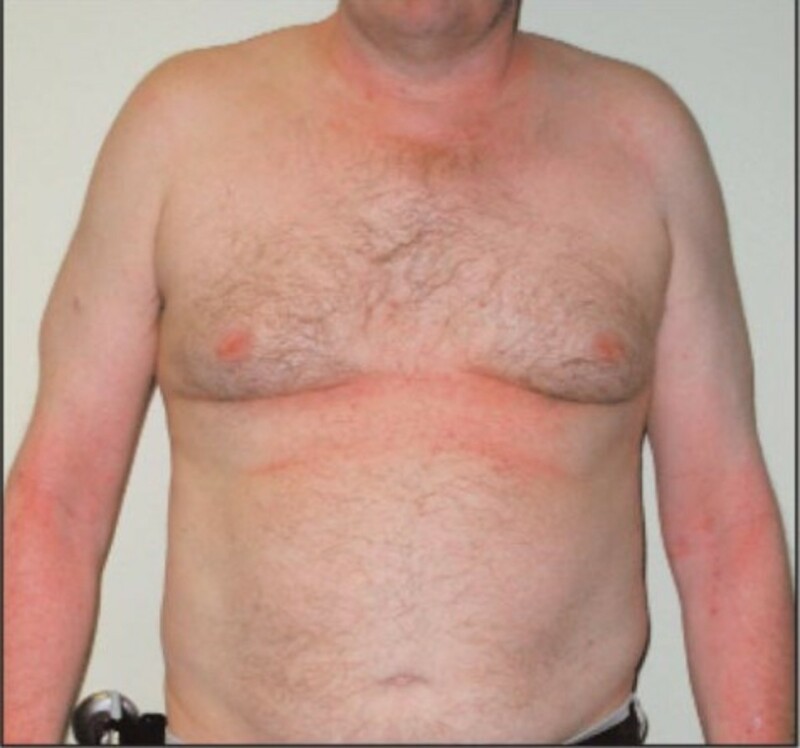 There are 150 approximately bursae situated throughout our bodies, but the ones most likely to become inflamed are those in the shoulders, elbows, knees, and heels. 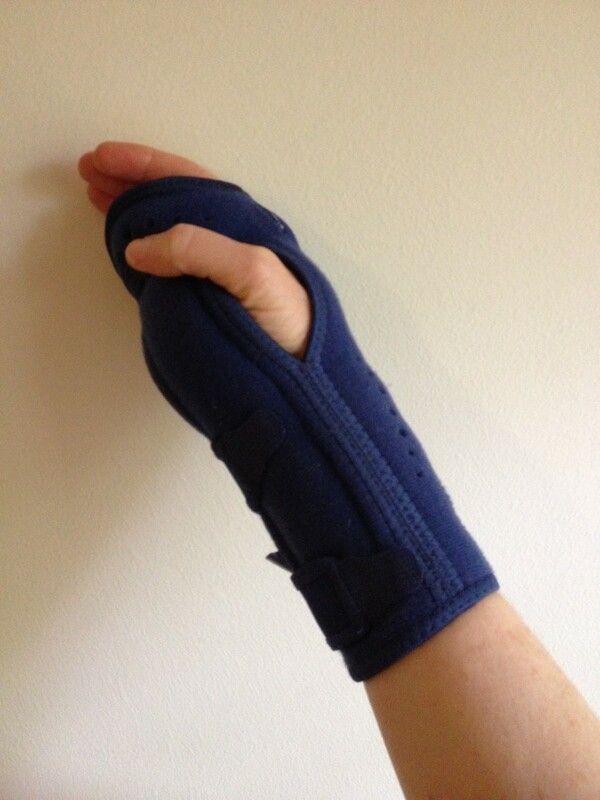 Carpel tunnel - In mild cases, a splint or brace may be suitable and the usage of a splint or brace during the night could reduce the swelling and pain. In addition simple non-steroidal anti-inflammatory medication can reduce the size of the swollen membranes. In more severe cases the consultant can administer a cortisone injection into the carpal tunnel which is normally very effective and may be quite long-lasting. However if this offers no relief or the pain and swelling returns then the next step would be surgery. There are two types of surgery normally carried out under a local anaesthetic and the first involves cutting the ligament that forms the roof of the carpal tunnel to relieve the pressure on the median nerve. The second would be the removal of the flexor tenosynovium, which may be inflamed and causing pain. Additionally the crushed median nerve trunk is removed which is the main cause numbness. Tarsal Tunnel - Initially resting the foot can prevent further injury and encourage healing. To reduce inflammation and pain you should apply an ice pack to the affected area, buffering the ice and skin with a thin towel. Use for no more than 20 minutes and wait at least 40 minutes before repeating. The use of nonsteroidal anti-inflammatory drugs (NSAIDs), such as ibuprofen, will help reduce the pain and inflammation. It is sometimes necessary to restrict the movement of the foot by use of a cast or air-boot to enable the nerve and surrounding tissue to heal. If these methods are unsuccessful then an Injection of a local anaesthetic and corticosteroid may provide pain relief, and a reduction of the inflammation. If none of these measures helps, then a surgeon may use a procedure called a tarsal tunnel release. This is a relatively minor surgical procedure taking about 30 to 45 minutes where an incision is made to open up the tarsal tunnel and decrease pressure on the posterior tibial nerve. This surgery is very similar to a carpal tunnel release in the wrist. 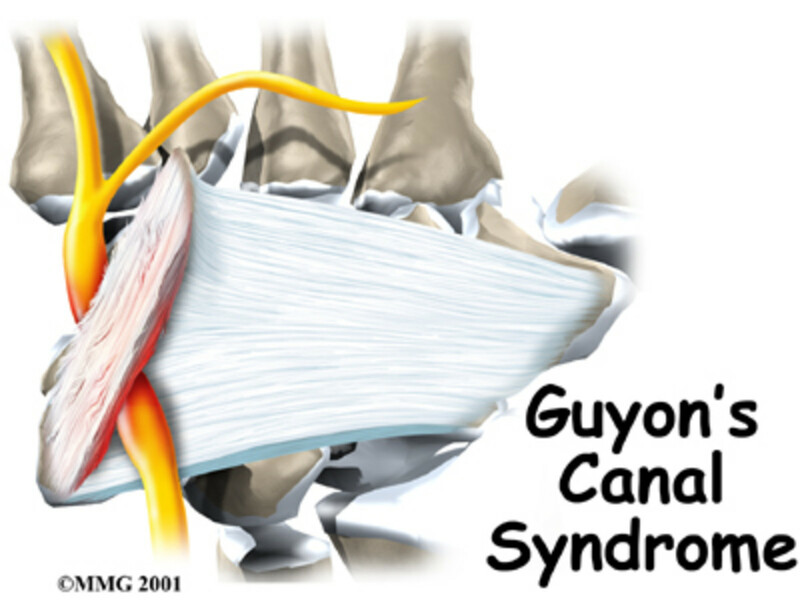 Guyon’s Canal - Initial treatment is usually rest, nonsteroidal anti-inflammatory drugs or a wrist support (splint). If these are not successful then the most common non-traumatic cause of this syndrome is probably a ganglion. Therefore the route of the canal should be inspected for this and any other mass lesions. If no mass is found, resection of any constricting bands and unroofing of the canal is the best course of action. Surgery can be done when symptoms persist despite nonsurgical treatment. Surgery consists of an incision on the ulnar palm (small finger side of the palm). The ligament located over the ulnar nerve is cut to remove pressure on the underlying nerve and a wrist splint would be worn for one week. The hand should not be used for any strenuous activities for at least six weeks after surgery and this includes driving for a few weeks. Cubital tunnel - Initial treatment would normally entail simple anti-inflammatory medication, splinting the elbow, especially at night and padding and/or supporting the elbow for work activities. However if these simple treatments fail, the consultant may need to resort to surgery to remove the pressure from the ulnar nerve. Because the nerve can be pinched in several locations, it is important to locate the site specifically in order to release pressure from all of the possible areas of compression. A somewhat more drastic treatment consists of moving the nerve to the front of the elbow, to relieve the tension when the elbow is bent; under a procedure called an ulnar nerve transposition. Depending on the severity of nerve damage, the pain may resolve very quickly or alternatively have no effect. Tennis Elbow - The first stage is rest and using Ice packs as an anti-inflammatory agent and keeping the elbow elevated, which will reduce swelling of the tendons and muscles in the elbow and relieve pain, this is successful in 90% of the time. An elbow orthopaedic support will keep the elbow protected and warm and increase the circulation, which aids in healing. In addition the brace supports the muscles and tendons by redirecting some of the strain. The use of nonsteroidal anti-inflammatory painkillers or steroid injections will help reduce the pain. If your consultant decides surgery is required then arthroscopic (keyhole) procedure may be used to release the ECRB tendon. This is quite a simple quick procedure carried out under a general anaesthetic, although in some instances just a local may be used. You can return to work after a few days but will not be able to drive for about 2 weeks. In all instances nonsteroidal anti-inflammatory drugs or steroid injections will offer some degree of success. Diet - A good balanced diet with adequate vitamins, minerals and enzymes is essential, as is a good level of fitness to avoid over stressing various muscles and ligaments. Foods such as spinach, broccoli, cabbage, whole grains, nuts, blueberries and green tea should be included in the daily diet to good effect. Some foods act as an anti-inflammatory and Celery has been known to relieve tennis elbow particularly, but .use celery seed extract rather than the raw vegetable. Add five to 10 drops of the extract to a cup of hot water before each meal. Ginger - Create a ginger tea by soaking ginger root in hot water or adding ground ginger to hot water. Drink the tea with meals which will fight tennis elbow and others as the ginger will help reduce swelling. You can apply a ginger compress to the affected area every six hours. White Willow Bark - this contains salicin, which the body will convert to salicylic acid (i.e. aspirin). This obviously acts as a pain reliever and in addition, white willow bark acts an anti-inflammatory agent. It has been used to treat rheumatism, arthritis and the various tunnel/canal syndromes. Turmeric - This herb and bromelain (see pineapple) support each other very well and seem to boost each other’s anti-inflammatory effect and analgesic properties. Taken together they are very effective in dealing with the pain associated with tunnel syndrome, albeit, turmeric in tablet form can be quite costly. Dosage 400 mg three times daily. Standardized to contain 95% curcumin. 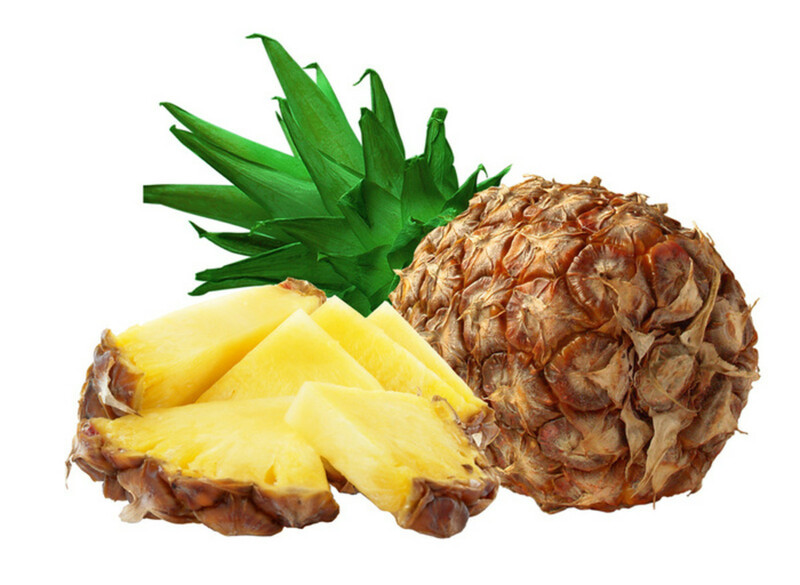 Pineapples - Eaten whole or as fresh (not from concentrate) pineapple juice is also beneficial. Pineapples are rich in vitamin C which helps in building collagen. They are also rich in bromelain, which contains powerful anti-inflammatory properties that can reduce pain and swelling. Dosage (bromelain), 1000mg twice each day in tablet form. Vitamin B6, Take as pyridoxine, a version of B6 called pyridoxal-5-phosphate (P-5-P), this is the active form of the vitamin inside the body. Dosage 50 mg three times daily until symptoms subside. Take care as overdosing can cause nerve damage. Baked Potato - Allow to cool then wrap in cloth and apply to the affected area (particularly good for tennis elbow) this will reduce swelling and pain. Omega 3 fatty acids are very effective in providing pain relief and fish such as mackerel, herring, trout and salmon are rich sources of omega 3 fatty acids. For vegetarians and vegans and those who are concerned about heavy metals content of some fish, you can substitute Flax seeds/Oil. Use fish oils with care as they can cause bleeding in the same way as Aspirin..
You should try to include foods like milk, cheese and eggs which are rich sources of minerals and vitamins. These nutrients can help in the recovery of the inflamed tendons and muscle coverings. Low fat high protein food such as chicken helps in building new tendon material. Foods that contain Barley also have anti-inflammatory properties that can alleviate the painful symptoms. Sufferers may wish to try the following gently massaged into the affected area which has been found to give some relief from inflammation and pain. Add 5 drops of each into a 50 ml mixing container. Blend with sweet almond and/or Grapeseed oil plus a small addition of Wheatgerm oil (as a stabiliser). You can use Calendula oil which has painkilling properties in its own right. Warm the oil gently and massage into the affected area until completely absorbed. If the hands or elbow is dry or cracked then use a rich carrier oil such as Rosehip or Argan Oil. Resting the elbow, ankle or wrist on a warm wheat bag with a suitable dose of aspirin to reduce inflammation can often give welcome relief. Do not overlook the power of acupuncture or Reiki which can give quite astonishing results. If you want to try a somewhat more modern method, I have used TENS machines to very good effect. These are quite cheap and simple to operate. If you suffer any skin irritation or reactions stop treatment immediately. Do you suffer from Carpal Tunnel Syndrome or similar? How do you deal with it? Yes - All above and operation. Thank you for your comment. You are quite right the human body is a fantastic structure, complex yet so well designed. Scientists are supposed to be dispassionate about such things yet when I look into the structures of the human and animal body I am overawed by its design and can only conclude that this is beyond mere chance and can only be the work of God. This was very interesting although I don't understand it all.